The stolen car was also found abandoned in a neighboring city, Cedar Park police said. A family was reportedly carjacked in an H-E-B parking lot on July 7. CEDAR PARK, Texas — The Cedar Park Police Department has officially charged a man believed to be involved in an alleged carjacking at an H-E-B parking lot on July 7. Brandon Anthony Hovey, 35, has been charged with robbery. 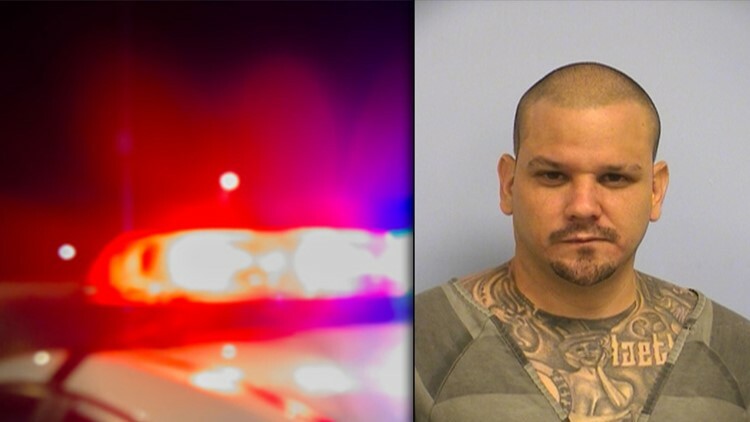 "Thanks to the help and reports of community citizens," Cedar Park police reported July 12 that the suspect accused of carjacking a family in an H-E-B parking lot was arrested on unrelated charges. Police said that around 10:06 p.m. July 7, a Cedar Park family had parked at the H-E-B located at 2800 E. Whitestone Blvd. The husband had left the car running to go into the store while his wife and two young children stayed in the vehicle. Within a matter of seconds, police reported the suspect approached the car, opened the door, told the wife and children to get out and then drove away. The family then called 9-1-1. Police released a description of the suspect and identified the vehicle as a 2015 red Mazda CX5 with a Texas license plate of DMT0726. On July 12, Cedar Park police said that the possible suspect was arrested on a warrant from another agency. The vehicle was found abandoned in a neighboring city. "While our investigation continues, we are thankful for the quick action of the citizens in our community and the help from neighboring agencies that allowed us to find this man and get him off the streets," Cedar Park police said in a statement.